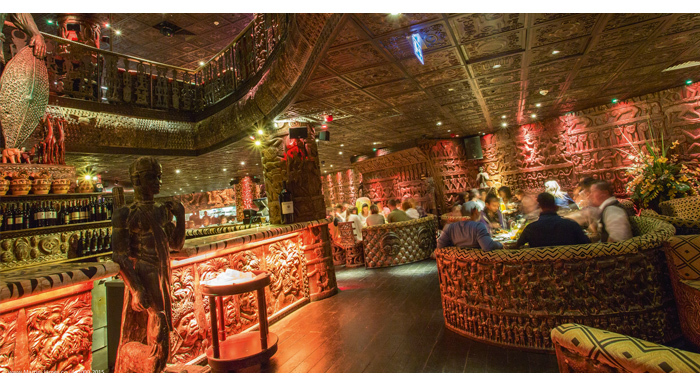 When Shaka Zulu, London’s biggest South African restaurant, first opened its doors, it did so with a royal blessing from the Zulu King, HRH Goodwill Zwelithini. How many restaurants in London can lay claim to that? 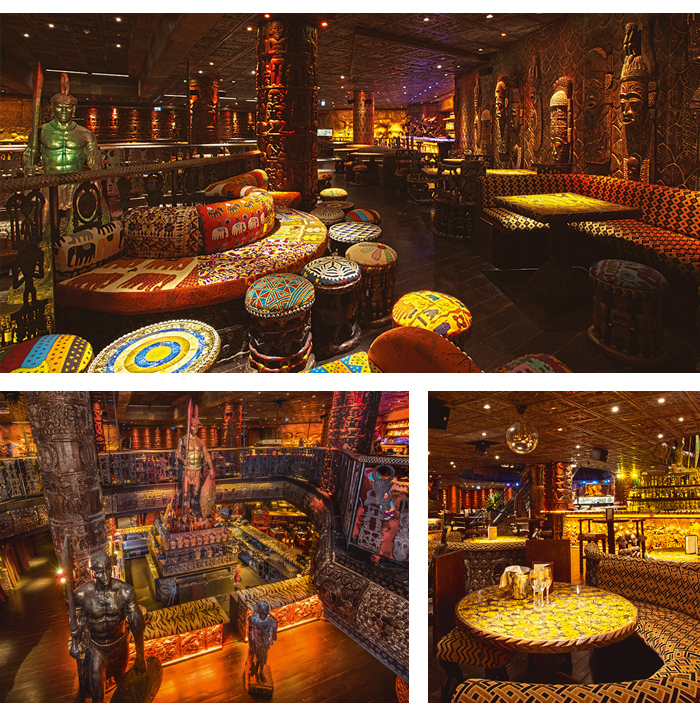 If the royal seal of approval isn’t quite enough to make you gather your tribe for a night at Shaka Zulu, there are plenty more reasons the restaurant, bar and club is perfect for hen party fun. For one, the Mezzanine boasts a stunning champagne bar and cocktail lounge overlooking the authentic braai BBQ restaurant. Carved wooden murals cover the walls and ceiling, adding to the African vibe. Whether you want to crack open the Champagne, splash out on a bottle of Grey Goose or just want tasty alcohol-free mocktails, there’s a tipple to get your party started. The Lounge Bar stretches over the lower ground floor bar offering views across this fabulously eccentric venue. 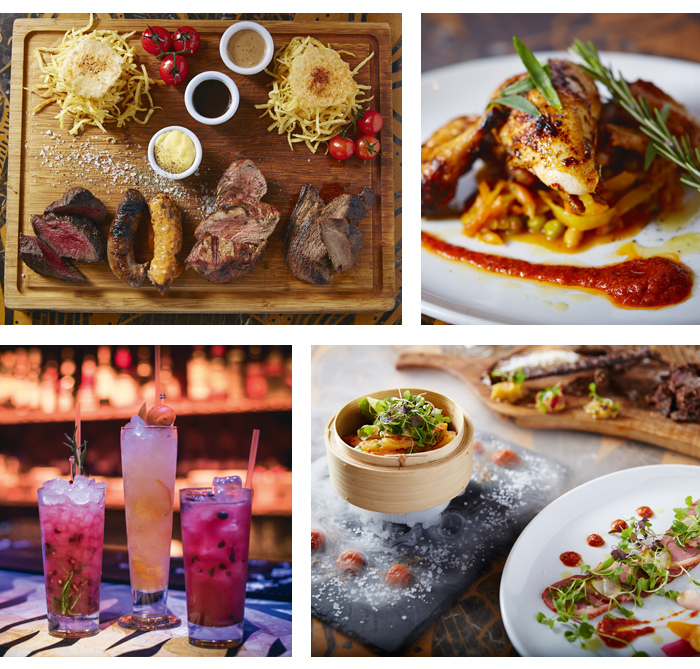 Set over a massive 27,000sq ft in Camden’s Stables Market, the spectacular two-floor restaurant, bar and club offers incredible food, cocktails, live music and dancing. Décor is Insta-ready with 20ft high warrior statues standing tall on the lower floor and ambient lighting and ethnic textiles throughout. Shaka Zulu’s cocktails are on a whole other level. Mixologists shake up a selection of delicious cocktails, including our favourite, the Zwelithini, which gets easier to pronounce the more of them you drink. Of course there’s a huge selection of South African wines to mull over too. The food is adventurously African. For hungry hens, go for a Feasting Menu, served on sharing boards and available up to 20. Starters include dressed crabmeat and crocodile spring rolls followed by mains of zebra fillet and chicken sosaties (chicken is halal as standard). It’s exotic but you certainly won’t feel like you’re on a Bushtucker Trial – this is proper gourmet dining with a wild side.